Del 30's Stay Focused kicks off the compilation with intense magnitude, boasting distorted synth patterns and techno infusions perfect for early hours club play. Moving the compilation into uplifting territories Mason Maynard's Soul Service possesses diva vocals and captivating synths giving a nod to the 90s house era. Elsewhere, Secondcity's In My Heart (7am Mix) takes us back to Chicago with cosmic patterns and a compelling top line made for the dancefloor. Meanwhile, Hannah Wants makes her exciting debut to Sola with How We You, blending her signature style of weighty subs and immersive breakdowns for a tech house smash. Tuff London line up another underground belter with Heartbreak, featuring a thrilling vocal loop weaved amongst punchy drum lines. 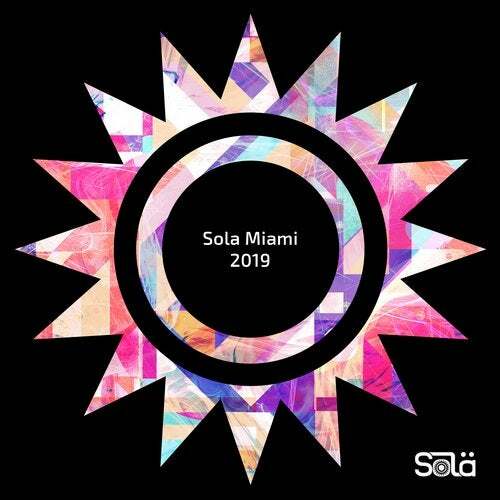 Following Sola's debut Miami compilation 2018, the label has achieved impressive success and this compilation is a product of the outstanding talent that the label looks to champion and has been pushing over the past year. Meanwhile, revered producers continue to return with fresh tunes that connect with the imprint's core values and musicality as Sola becomes a reputable and prominent label amongst its underground peers. Now one of the top-10 bestselling labels on Beatport, whilst hosting parties at events including Miami Music Week's pool party at Miami Beach, it's clear Solardo have cemented Sola as a label in demand internationally.